Shenmue I & II was released on the PlayStation 4 on 11/22/2018 in Japan. 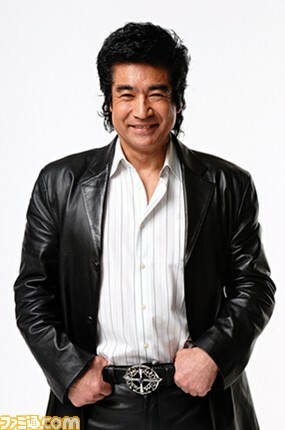 To commemorate this event, we talked with actor and martial artist Hiroshi Fujioka, who played Iwao Hazuki in the original game. He told us about his memories from back then, as well the passionate feelings that he put into playing Iwao. (Interviewer) Please tell us your thoughts on Shenmue. (Fujioka) Boy, Shenmue huh? That really brings back memories. It was a very astonishing game for the time, so being a part of it was a lot of fun for me. When I heard about the details of the game, it struck me as a story that crossed borders since it was on such a grand scale. It incorporated groundbreaking motion capture techniques for the time, that allowed for the martial arts that I was performing to appear in the game just as they were. Game companies were groping around for new and original ideas back then, and Yu Suzuki really led that charge. I got to meet the staff while we were recording, but they were full of power that came from heading toward their one goal of cutting a new path through the games industry. They all seemed to be racing toward that same big dream, and I felt that energy from everyone on staff. So it was very exciting, and I’m very honored to have been involved. I had martial arts driven into me by my stern father from the time I was 6 years old, so I started down the path of a martial artist before I ever became an actor. Things worked out to where I was able to play Iwao as an actor, and I had to convey the spirit of martial arts from the opposite perspective, to Ryo….and he struggled with it using even stronger feelings, so it was deeply emotional. I’d had a lot of experience as an actor even at that point, but I hadn’t really shown off the “Fujioka Style” of martial arts that I’d inherited from my father. As a martial artist I hadn’t even performed on TV or anything like that. 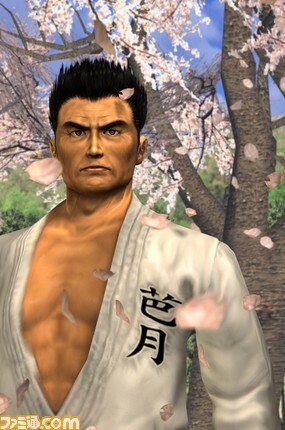 But it was an honor for me to not only act in Shenmue, but also to be noticed as a martial artist. At the time I was going around the world and participating in a lot of martial arts exhibitions. So I was showing people martial arts in many different countries, and I got a good response from it. And that made me realize how much attention and admiration there was for martial arts. Since they were one of the themes of Shenmue, I had a feeling that it might be received well by people all over the world. That’s why I wanted others to feel the samurai spirit and soul through not only my martial arts, but also through the game, and I put those feelings into Iwao. Iwao, like my own father, has a firm and unwavering heart. He’s also a man that doesn’t run, lose, yield, give up, is never shaken by anything, and is honest. I played him feeling that I wanted to convey that strength to the main character Ryo, who he was paving a future for. I wanted to convey that not only to Ryo, but also to all of the young people playing Shenmue. (Interviewer) Please send a message out to all of the young players who are playing Shenmue for the first time. (Fujioka) The Heisei era is coming to an end in Japan, so we’re coming up on a big turning point. People of Japan, we must move forward. Now is the time when we’ll be truly put to the test! The samurai spirit will be an important component of that structure. I’d like for the feelings that I put into Shenmue back then to reach young players now, as well. Young players, is there anything that you truly struggle with? Is there anything that you put your heart, soul, and life into!? Play Shenmue I & II!